You sing baby and are kicked from the stage. JB does 30 damage to himself because he is stupid. 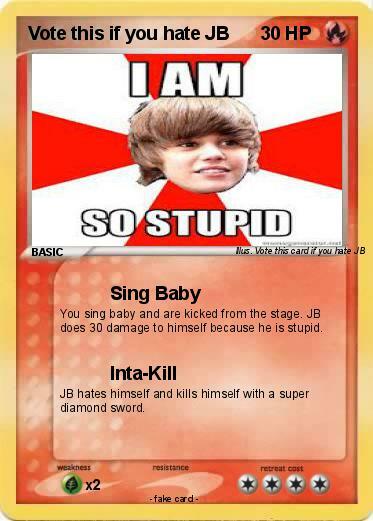 JB hates himself and kills himself with a super diamond sword.